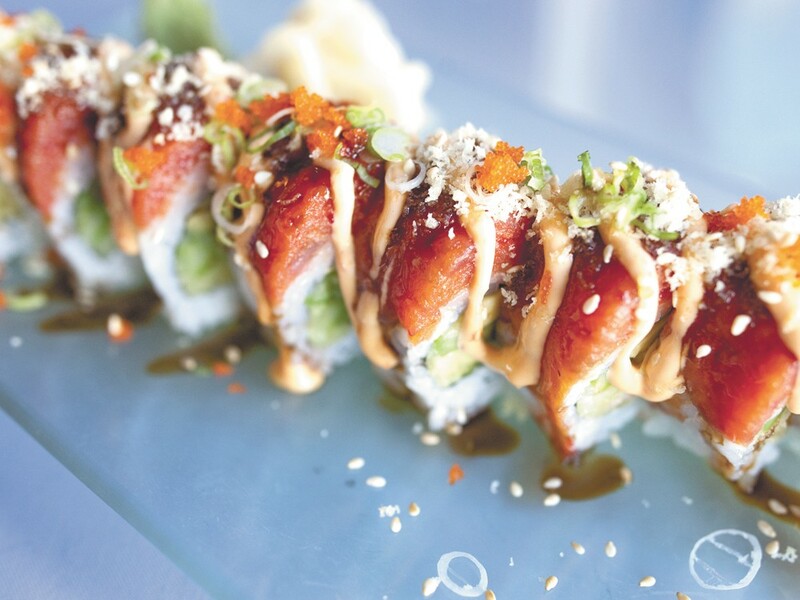 Try the Las Vegas roll. “Ginger Asian Bistro is a place for customers to visit, talk, know sushi and know each other,” says Jack Beechinor, assistant sushi chef at the South Hill restaurant. After opening in 2009, Ginger Asian Bistro has established itself as exactly that kind of place, with a light ambiance and comfortable quaintness. They’ve also whittled down their menu to simplify things, taking out less popular dishes and focusing on their sushi and popular Asian dishes, such as their General Tso’s orange-ginger glazed chicken. The latest development for the bistro is a 3-5 pm daily happy hour, featuring an $8 chef special roll and a selection of half price sushi rolls, entrees and appetizers. Avocado, cucumber and California rolls go for $2, while all other specials are under $5. All beer selections are also half price.